I have lived in a few different states and traveled to many in the US – honestly, I have not liked the taste of tap water. I don’t know if it is sheer misfortune – everywhere I have lived, the tap water tasted like I was drinking water from a swimming pool. There is a plant called “Lucky Bamboo”. It is a pretty tough plant. If you keep it in tap water, its leaves will turn yellow and often times slowly die because of the chlorine content in the tap water. It looks like the human body can tolerate high levels of chlorine in drinking water than Lucky Bamboo! I have always been on a quest to find good drinking water at a reasonable price to quench my thirst. Over the course of time, I have tried different alternatives and have formed some opinions. In 1974, the US congress enacted the Safe Water Drinking Act (SWDA) and authorized Environmental Protection Agency (EPA) to set standards for public water systems (not private wells). States and public water providers take steps to comply to the standards set up by EPA. If you live in the US, and your tap water is coming from a public water provider, then it is supposed to be potable. Please check your county’s or water providers water quality report periodically. Cost : FREE. You do pay for your water. However, the amount of water you drink would be in the noise, when you look at the overall water usage for your home. Hence, I classified it as free. Sorry, I have never been a fan of this option. In my former home, we used to have a bottom loading water cooler / dispenser. The advantage of having a bottom loading water dispenser is that you don’t need to lift, flip & mount a 5 gallon water bottle on a standard water dispenser. In this case you would need to purchase two to four 5-gallon water bottles based on your needs at home. Another advantage is that most of these water dispensers have three temperature settings – piping hot, cold, and room temperature. This is a good alternative if you are constantly in the need for hot water through the day. You will love it if you drink hot tea. The initial cost of water dispenser falls in the range of ~$100 to ~$350. On the cheaper ones, the 5-gallon water can is mounted vertically upside down and is visible. The bottom loading ones look nicer and are easier to use and cost ~$200 and upwards. The 5-gallon water bottles are available for ~$7 a piece at Walmart. To keep it cost effective, you buy empty bottles and you fill it at drinking water refill stations. Big grocery chains (Kroger, Walmart) may have water refill stations or you could look up if you have a glacier water refill station near you. Cost: ~$1 per 5 gallons of water refills. If you consume two 5-gallon water bottles a week, you are looking at an annual cost of ~$104. Taste: We liked the taste of glacier water. This alternative would not work for you if you don’t like hauling 5-gallon bottles of water. I didn’t mind doing it. We had it for several years. If you like this alternative, you could consider Avlon or Whirlpool bottom loading water cooler / dispenser. When we moved from Texas to New Jersey, our water dispense got damaged in transit and we didn’t buy a new one given we were living in a much smaller home in NJ and every square foot mattered. This is pretty straight forward. You pick the bottled water of your choice. What I hate is the fact that I am polluting planet earth with plastic waste. I confess, I am guilty here. We were buying bottled water for the past three years, and I was so sick of it and we finally moved on to options that are eco-friendly. Cost: $5 – $10 per week. This is based on your consumption. Annual cost is about $260 – $520. Taste: Your choice! It better taste good. We were spending about $300 a year. It was expensive! Even worse, it hurts planet earth. Your home refrigerator takes in tap water and filters it. The cost of water is the cost of the water filter in your home refrigerator. Typically, you would need to replace your refrigerator’s water filter every six months. In essence, the cost of drinking water, is the cost of two water filter replacements. Most modern refrigerators notify you when the filter needs to be replaced. Cost: $15-50 per filter. Annual cost is about ~$30 – $100. We got lucky. My refrigerator’s filter costs ~$15. We switched over to refrigerator water. Nothing like a simple water filter. I purchased a Brita Water Pitcher long time ago. We started using it again so that we have water available at room temperature. The filter can be used for up to 40 gallons of water. The 10 cup Brita water filter costs about $20. A pack of three Brita water filter replacement costs about $13.34 (price from Amazon). I change the water filter every three months. To keep the math simple, I am going to say filter replacement cost is $5. You get 40 gallons of drinking water at $5, that equates to 12.5 cents per gallon – that is a good deal! Cost: $5 per 40 gallons of water. If you replace the filter every 3 months, annual cost is ~$20. If you replace the filter every two months, annual cost is ~$30. Our drinking water cost is the cost of Brita water filter replacements and refrigerator water filter replacements that adds up to a total of $50 per year. We cut down our drinking water bill from $300 per year to $50 per year. That is a significant amount of cost savings. 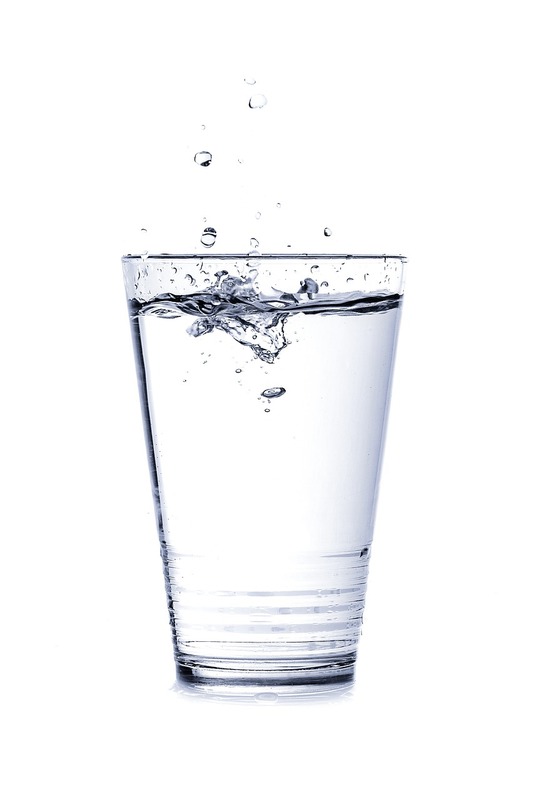 I limited this post to simple non-intrusive sources of drinking water. You could install a reverse osmosis water filter system at home, but that would require some plumbing work. How much do you spend on drinking water? Which alternative do you use? Now you got me curious!